Formerly a working dairy farm, Coldharbour Farm is situated in a tranquil, secluded setting within walking distance of the historic Cornish county town of Bodmin. Six charming stone cottages have been imaginatively converted from farm buildings dating from the 1800s. 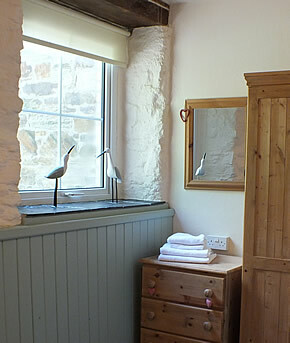 These comfortable cottages are arranged around a delightful, atmospheric courtyard. The colourful flower borders provide a contrast against the traditional local stone with a raised fishpond providing the soothing sound of water. Coldharbour Farm is a haven for relaxing, outdoor eating or enjoying a drink in the late evening as the sun sets. Unwind in our lawned garden with views over Bodmin town and the surrounding countryside. Barbecues are available for enjoying a meal with family and friends. Have fun playing table tennis, pool, darts or table football in our games room. Children can enjoy our enclosed play area. Set in the heart of Cornwall, approximately 20 minutes from the north and south coasts, and with easy access to the A30 trunk road, Coldharbour farm is your key to unlock a treasure chest of Cornish jewels.